Unlock Hope and their team create beautiful limited edition jewelry that make both a social and humanistic statement and impact. It’s effects are immediately felt in Uganda, as resources are allocated directly to young schoolchildren, and its positive ripple effect years down the line will be felt throughout the globe. 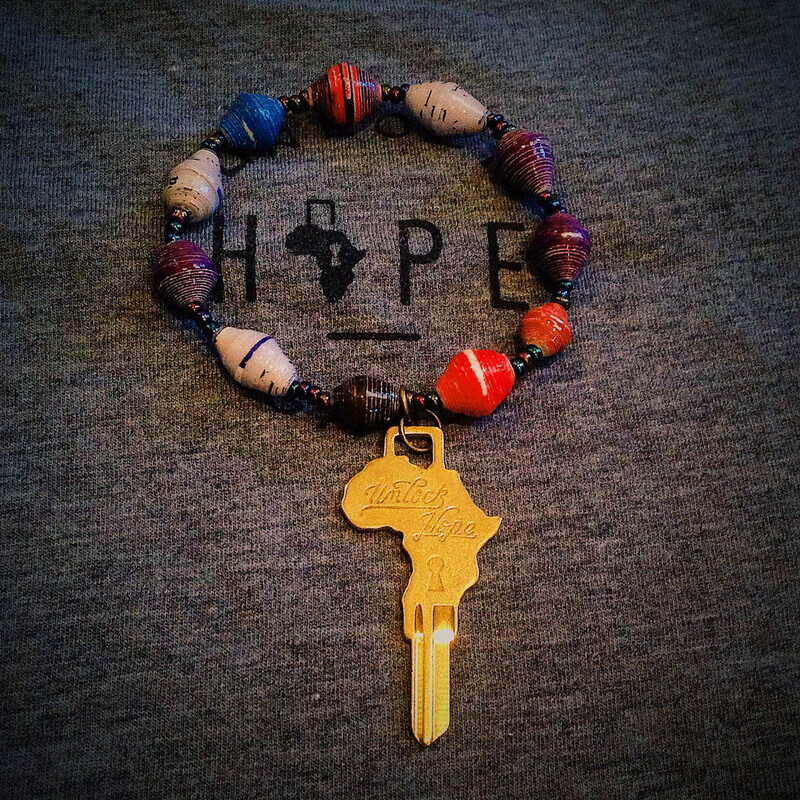 The reasoning behind Unlock Hope’s design circles back to their mission. Ugandan schoolchildren usually wear a key around their neck for their lock boxes, which hold their school supplies. Additionally, the recycled paper beads are almost symbolic of the new interest that the world has taken in regards to African craft and art. Each key is engraved with “Unlock Hope”, in an elegant and dominant script. These thoughtful yet simple designs are a reminder to the wearer of the change they have made in a young schoolgirl’s life. The girls come from varied backgrounds: some are orphaned, or victims of war, refugees, or simply cannot afford an education. The full amount from a purchase goes directly to the children’s needs to not only have access to, but excel in their educational pursuits. The funds supply healthcare, nutritional food, housing, utilities, transportation, support staff, school fees and supplies, uniforms and more. In addition to secondary education, the girls from Unlock Hope also take part in supplemental activities that develop leadership and team building skills. In a world where things can be shaky and unsure, it’s so wonderful to know that through an organization with a mission through education – that there is a chance to Unlock Hope. All images courtesy of Unlock Hope. I think this is really lovely. And the story behind it is moving. Are there any for sale? I’d love to get one.